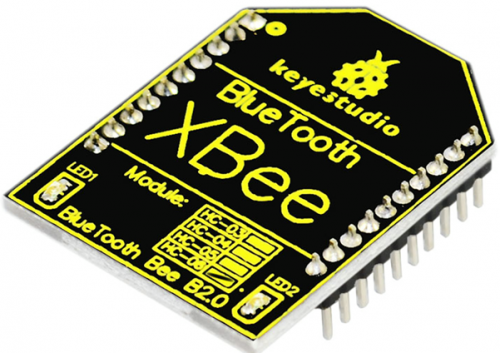 Keyestudio Bluetooth XBee Bluetooth wireless module HC-06 adopts XBEE design. 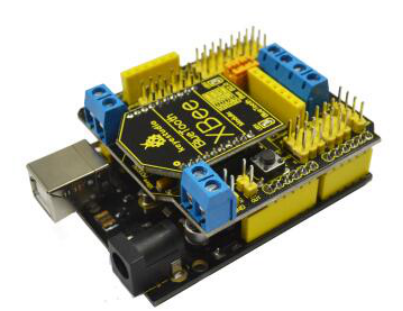 It has features of compact size, compatible with XBEE shield, and suitable for various 3.3V MCU systems. The module can use AT command to set baud rate and master/slave mode. The default settings are baud rate 9600, paring password 1234, slave mode. It comes with efficient on-board antenna. The exposed antenna ensures better signal quality and longer transmitting distance. Transparent serial port can be used to pair up with various Bluetooth adapters, Bluetooth phones. The humanized design offers convenience for secondary development. 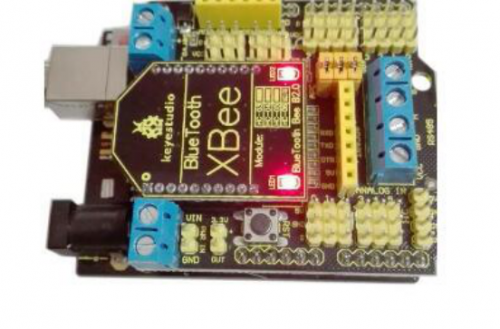 After testing, the module is known to be suitable in using with all Bluetooth adapters on the market (PC and phones with Bluetooth). Connect the 3 wire jumpers of the shield to APC ports; enter cell phone “settings”; pair up the Bluetooth; device name is HC-06; pairing PIN No. is 1234. After device is paired, open APP “BTClient”; click search for device, pair up the Bluetooth. 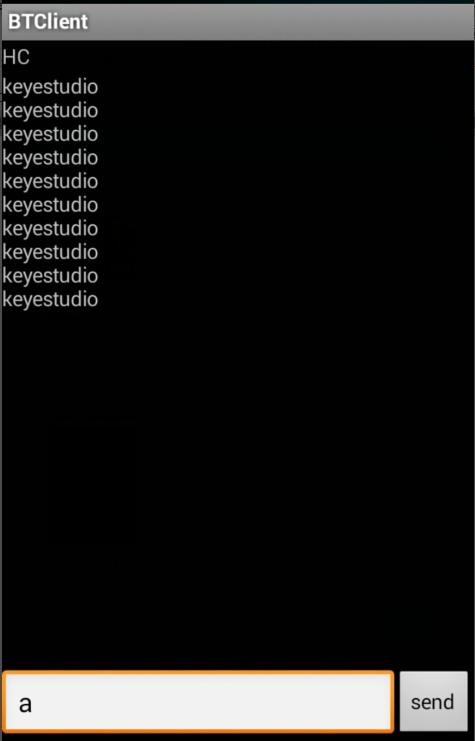 After successful connection, enter “a” in BTClient and click send, the BTClient APP page will display keyestudio. And Pin13 LED will blink once.